People often think soufflés can be challenging to bake because they need to rise and stay risen even upon coming out of the oven and being served. So, of course people assume that a gluten free soufflé would be even more difficult as it is often thought that a special component is needed. 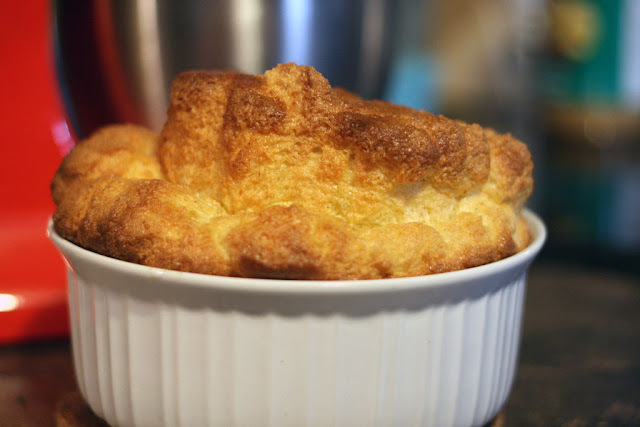 Dan found that this was not the case and that you can easily make soufflé as well. 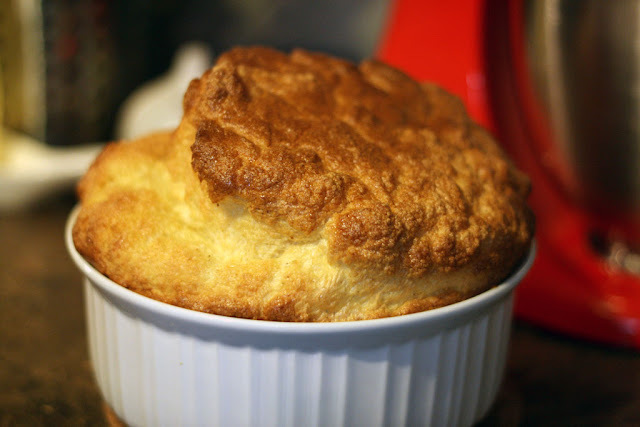 Read on for how we managed to make not only a successful soufflé but a gluten free cheese soufflé! In terms of ingredients you likely have all the staples you need in your pantry or fridge. If you are making regular soufflé then just use all purpose flour instead. There are two parts to the recipe. First you need to make a roux (a thickener), which can then be used for all sorts of cooking such as gravies or more soufflés, and then the mixing and baking of the soufflé itself. 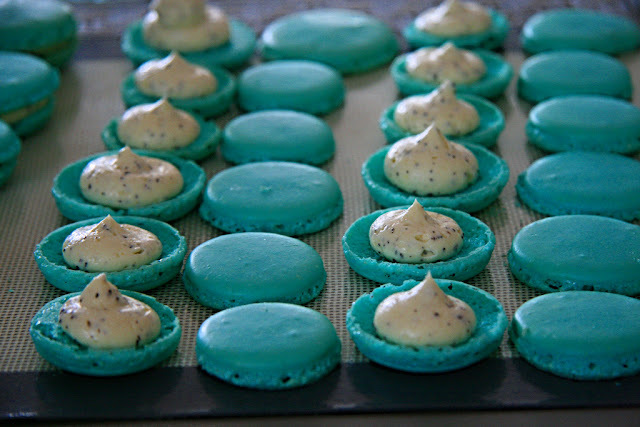 Then stir in the flour until it becomes a thick semi-transparent (translucent) paste. Note: The roux acts as a binder. By mixing it together you are cooking the flour and butter. 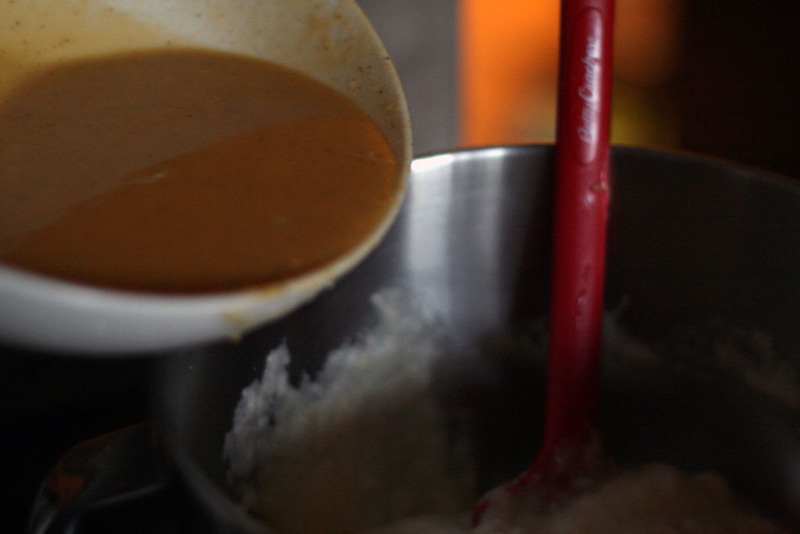 You will make more roux then you need for making one soufflé. Use the rest for gluten free gravies, as a thickener for sauces, or more soufflés. The ratio for this is essentially 2 parts of fat to 3 parts of flour. Butter a round 1 1/2 quart (1.4 L) round baking dish. 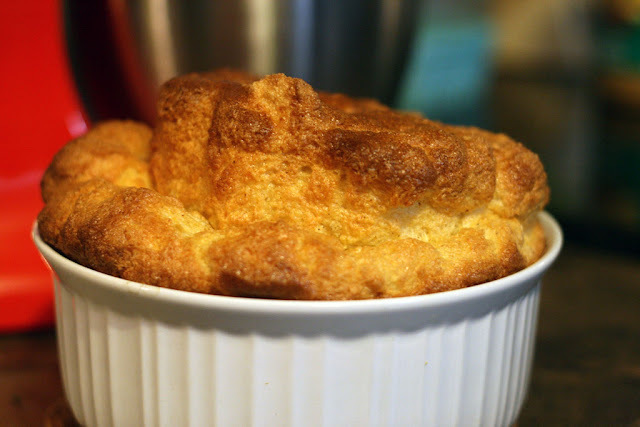 When buttering, ensure that not only the bottom of the dish is buttered but also the sides and the lip of the baking dish as the soufflé will rise above the edge of the dish as it bakes. Separate eggs. 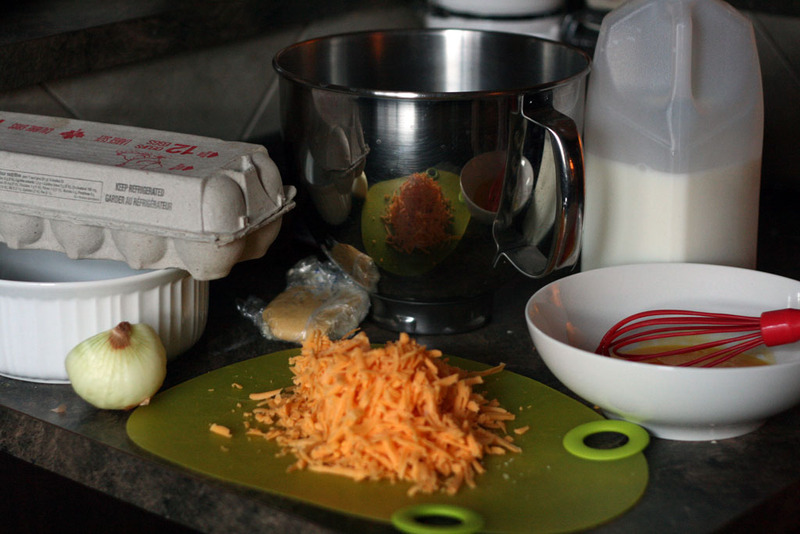 Place egg yolks in a separate bowl and set aside. 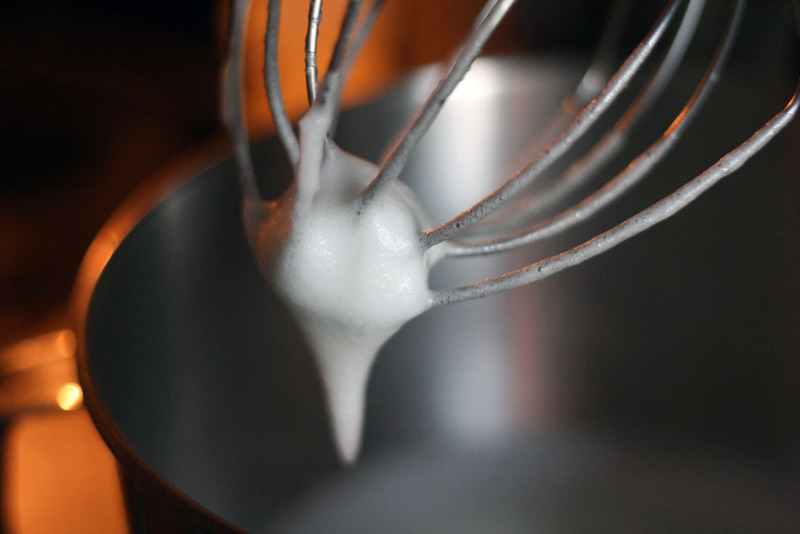 Place egg whites in the bowl of a stand up mixer or using a hand mixer whip egg whites into stiff peaks. In a medium pot, cook chopped onions until they are clear with some butter (approximately 5 minutes). 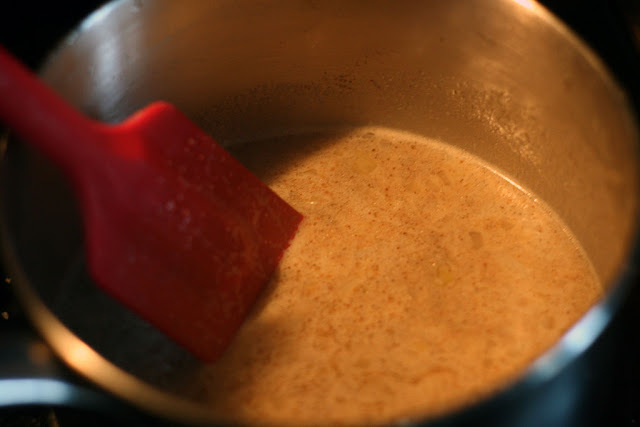 Once onions are cooked, add in 3/4 cup of milk (or cream), and 1 tablespoon of roux. Heat at medium-low heat. 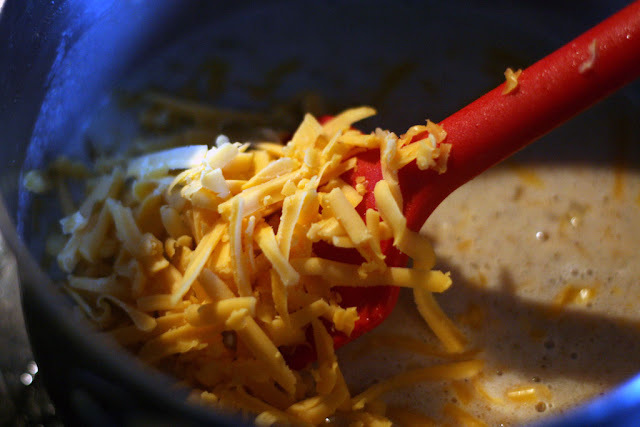 Add in 1 cup of cheese and continue stirring until the mixture is heated through and the cheese has melted. Whip up the egg yolks. Then, slowly add the warm milk mixture to the egg yolks. Continually stir the mixture as you combine to ensure that the egg yolks do not get cooked by themselves but are part of the sauce. Fold the egg-milk mixture into the whipped egg whites until combined. 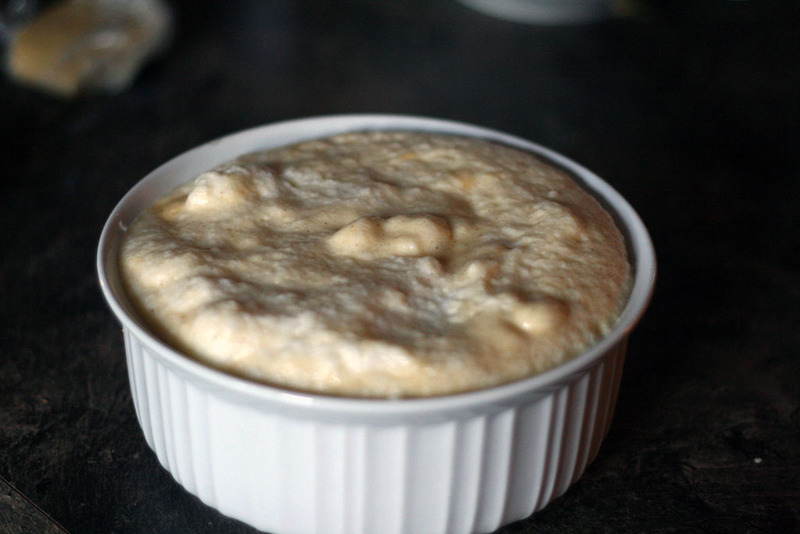 Slowly pour the soufflé batter into the buttered round baking dish. Bake the soufflé on the middle rack at 350F for 35-45 minutes until the top is golden brown and the soufflé has risen. You definitely want a golden brown top as this helps to set the "crust" and keeps it risen. Remember to not open the oven during the baking until the very end. If the top happens to fall, don't worry it will still taste good! However, next time bake it for a bit longer as oven temperatures may vary. 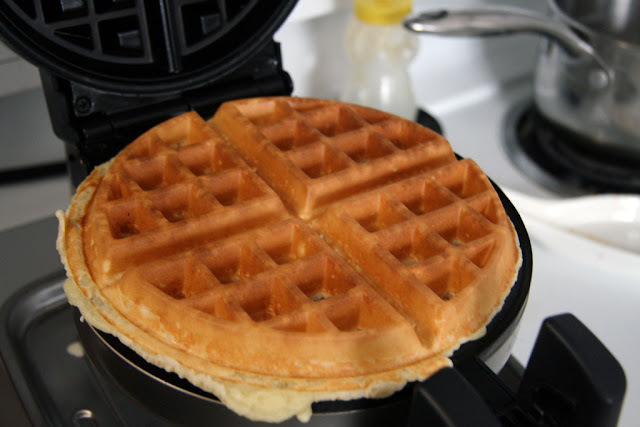 If you find that you have a huge separation between the top and "filling" then make sure that the egg whites are incorporated more evenly (no big chunks of egg white). This recipe (and dish) was a surprise for me as Dan made it so quickly (under 1 hour) and it was really tasty. The cheese filling was not too cheesy, nor too eggy. The baking dish and amount of eggs was more than enough for the two of us with ample leftovers for lunch/breakfast. It also proved that you don't have to make soufflés in single serving ramekins. Just one large baking dish is enough as it will not only rise better (and stay risen) it is also less dishes to clean! Dan has made this dish several times since the first time and it gets quicker at making it each time.